Leanmode by Evlution Nutrition Review – Does it work? There’s a reason why many fat burners use stimulants as their main fat-burning ingredient – it’s simply because it works. Stimulants are one of the few sure-fire ways of burning fat. So why do many people stay away from stimulants? As ironic as it may seem, the very people who need fat burners are the same group of people who are at risk of developing a serious complication due to the side effects of stimulants. Overweight people, diabetics, and people with heart diseases are those who need fat burners the most to help them lose weight, but having these complications also prohibit them from taking any stimulant – no matter how mild it is. As stimulants boost your metabolism, it also puts your heart into overdrive. For people who have developed these complications, giving your heart more work may simply cause it to give out. That’s why physicians and nutritionists agree that stimulants work best with 100% healthy people, and others can start with milder non-stimulant fat burners, and that’s why products like Leanmode exist. Leanmode claims that it can burn fat without the usual stimulants found in many fat burners. There are many ways to burn fat without fat burners – through enzyme suppression, appetite suppression, and colon cleansing. 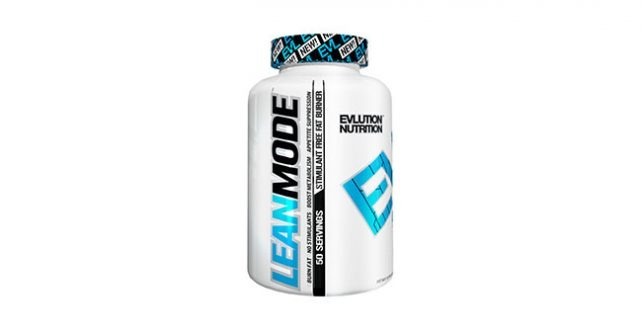 Leanmode appears to focus its effects on enzyme and appetite suppression to prohibit the body from storing more fatty deposits, so you can focus more on burning your body fat. Like what we’ve stated earlier, non-stimulant fat burners like Leanmode is typically used by people who are at risk of developing complications brought about by the side effects of stimulants. There are also others who simply prefer non-stimulant fat burners because it doesn’t have the uncomfortable sweating caused by thermogenics, which is a common effect of stimulant-based fat burners. We sent samples of Leanmode to the lab for analysis. We learned that the main ingredient of Leanmode is Garcinia Cambogia, one of the fastest-selling fat-burning supplement ingredients on the market today. Leanmode contains a normal amount of Garcinia Cambogia, enough to cause appetite and enzyme suppression. Garcinia Cambogia’s effective formula, which is 60% Hydroxycitric Acid is also present in the formula. Hydroxycitric Acid, or HCA, is responsible for inhibiting citric lyase, the enzyme which converts carbohydrates into fat. Instead of storing fat, HCA converts it into energy, which can be used by your body to perform longer, more intense workouts. Leanmode also contains Conjugated Linoleic Acid or CLA and L-Carinitine which helps convert fat into energy (lipolysis) and increases the energy stored in muscles. Despite being marketed as a stim-free fat burner, we were surprised to find Green Coffee bean Extract and Green Tea extract in the formula of leanmode. According to our sources, Leanmode uses decaffeinated green coffee bean extract to kickstart lipolysis. However, it doesn’t say anything about decaffeinating green tea extract, which is also a rich source of caffeine. We currently have no data on the actual caffeine content per dose is on Leanmode. The ingredient lineup shows great potential. However, the actual content and its absorption rate isn’t up to par with other similar products on the market. In fact, you’d have to take about 3 capsules of Leanmode to make a dose. The 150-bottle package of Leanmode would only last about 25 days if used as directed. For a product that is intended for the stimulant-conscious customer, it’s really odd to include an ingredient that’s known to contain caffeine. Other than that, things may be looking up for Leanmode. There’s not much to say that it actually works, other than the fact that there are also nothing to say that it doesn’t. Still, taking 2-3 capsules a day may be a drag for some. There are some similar formulas which contain the same amount of ingredients, but would only require you to take one capsule a day. If you’re looking for a stim-free product that’s proven to work, you can’t go wrong with Garcinia X. Like Leanmode, Garcinia X also contains Garcinia Cambogia. The only difference is that you don’t have to take 2-3 capsules a day, and you would still enjoy the benefits of Garcinia Cambogia without all the hassle of keeping tabs on your supplement intake.